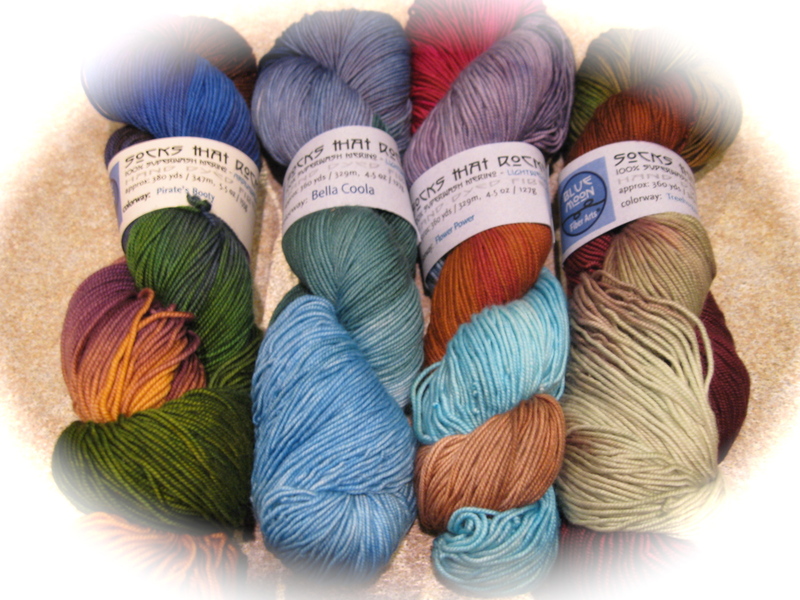 To the left, you will see Treehugger, Bella Coola, Flower Power, and Tide Pooling. THIS IS NOT A BUNCH OF KAWKAW! 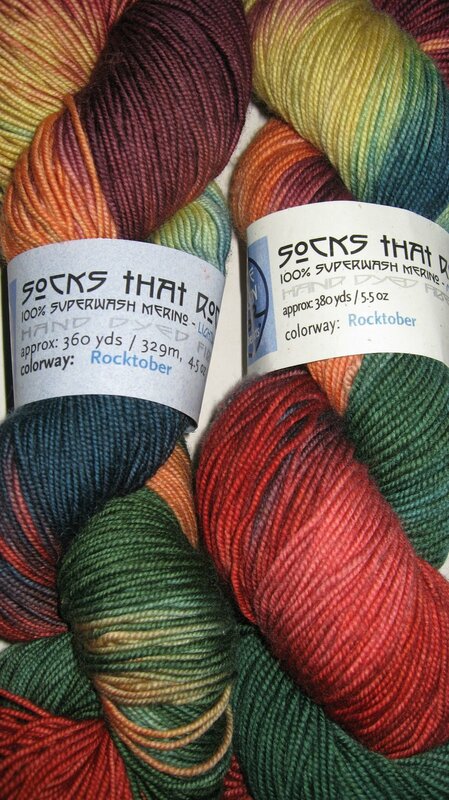 And this is Tide Pooling, RSC September yarn! No KAWKAW here! To the left, A BIG BUNCH OF KAWKAW! Or, Christmas KAWKAW! And then….. ahhhhhh…………Rocktober! 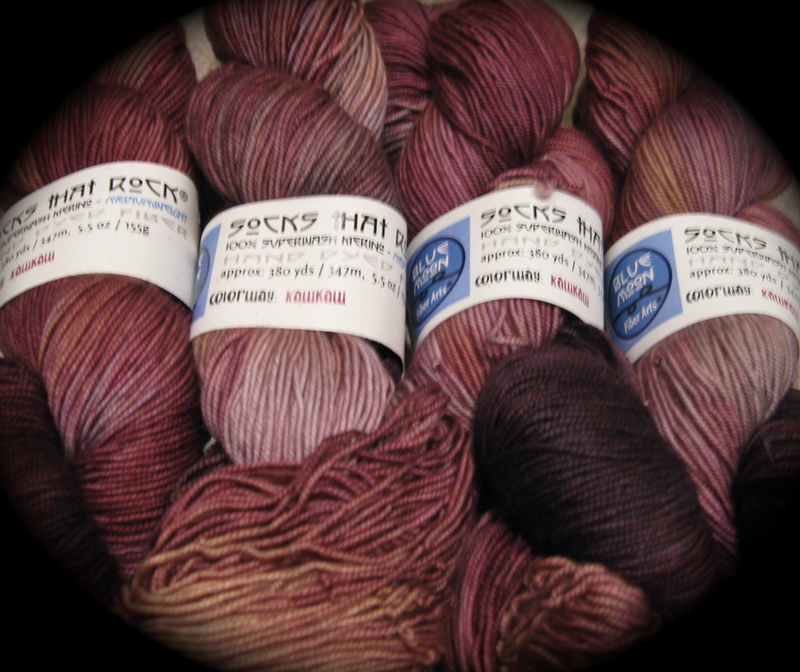 Carefully aged for over a year, ready to be wound into a yarn cake, stroked, loved, and knitted up into a slip stitch scarf and socks…………….I have literally waited from last November until now. It was almost more than I could stand. And that ain’t no KAWKAW. 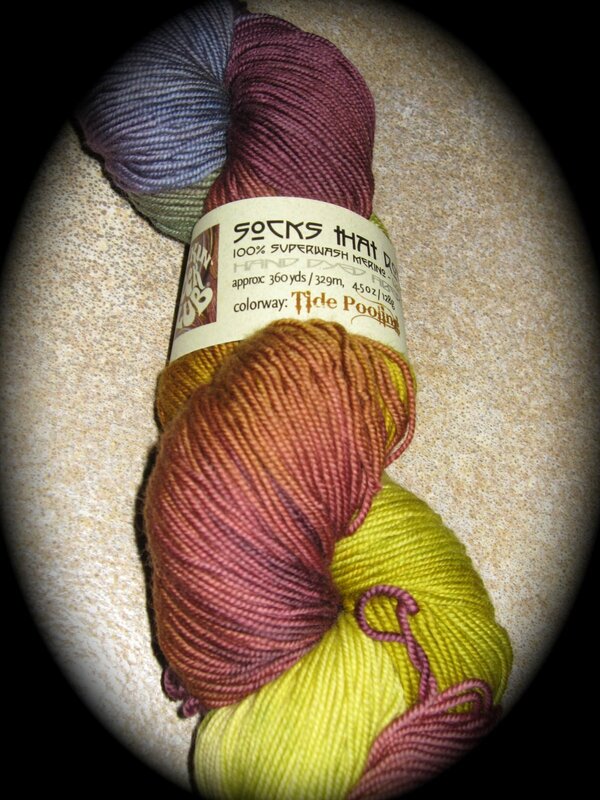 Yummy yarn! Jackson is adorable.